There is little to no evidence of Donald Trump and his campaign staff COLLUDING (popular word these days) with Russia…….but yet the Democrats and some Republican anti-Trumpers will meet today to demand a special prosecutor be appointed to further investigate. HEY, GO FOR IT! There are tons of evidence, as Comey said, that Hillary Clinton’s use of a personal server shared classified information and her girl friend Huma did the same with hubby Weiner………..and Comey protected them. So, let’s get it all out, lets investigate Congress for not doing its job while we’re at it. 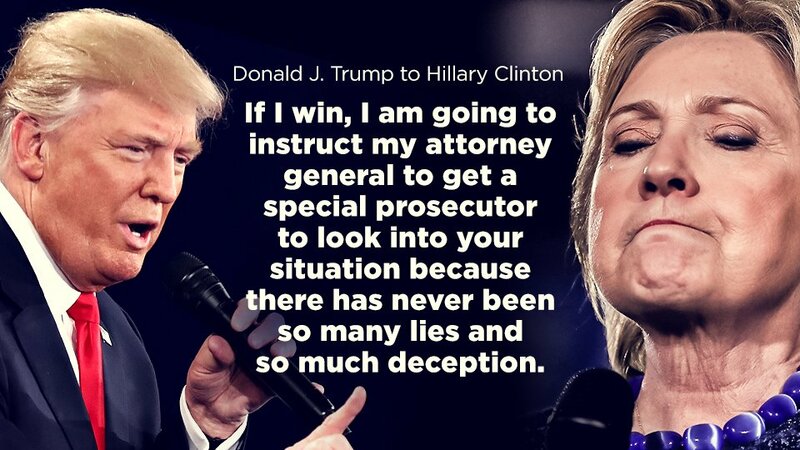 I think the American people should appoint our own special prosecutor, against those that have violated their oath of office to uphold the Constitution and robbed us at every level……and accepting a salary while doing so. You want to talk about COLLUSION? We the people are the victims of CONGRESSIONAL CRIME ………and that has trickled into the Justice Department as well. It’s a big swamp! Previous PostGRAHAM AND OTHERS DUMBFOUNDED WITH TRUMPNext PostLiberals confused! Would it be OK if I cross-post6ed this article to WriterBeat.com? I’ll be sure to give you complete credit as the author. There is no fee, I’m simply trying to add more content diversity for our community and I liked what you wrote. If “OK” please let me know via email. Yep, surprised only that it took this long. Almost like Trump was giving Comey more rope to eventually just hang himself. Trump has often shook your hand, smiled and said nice job…….then the next day because it wasn’t enough fired you. He did it for years on his weekly celebrity show. I like you, but………….you’re fired!